Below are some of the milestones the Rosemere Cancer Foundation is proud to have helped our clinical teams achieve over the last 20 years. Rosemere launched a campaign on the Fylde Coast to fund the creation of an Assessment Unit on the Oncology/Haematology Day Case Unit at Blackpool Victoria Hospital. It will provide fast access to specialist treatment from experienced oncology staff for patients experiencing complications throughout the duration of their treatment, saving them from potential delays in a busy A&E department. The unit will also provide day case procedures and treatments that previously might have meant a stay in hospital, making it less stressful and more convenient for patients. It is hoped that building work will commence in the autumn. In a collaboration with ELT&Me, Rosemere agreed to help raise funds £28,579 for two cool cap systems at Burnley and new caps for the systems at Blackburn to help stop patients from East Lancs losing their hair during chemotherapy. The Rosemere Cancer Foundation committed £30,000 to local cancer research at Blackpool to enable Consultant Cardiothoracic Surgeon, Dr Bittar, to investigate potential biomarkers for earlier diagnosis and treatment of lung cancer. A further £63,208 is pump priming two additional research nurses for two years to facilitate the expansion of cancer clinical trials at Blackpool to give local patients earlier access to the very latest treatment regimes. 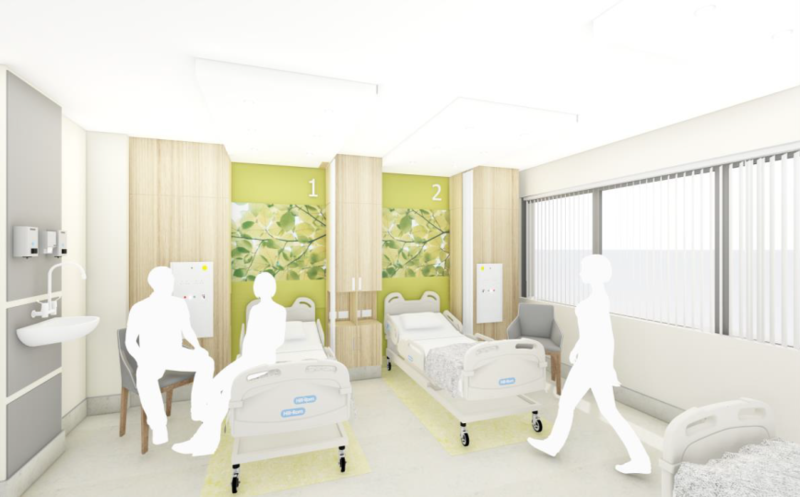 On the back of approval for a larger NHS project at Royal Preston Hospital in January, the opportunity has arisen to undertake a more radical remodelling of the Ribblesdale Ward at the Rosemere Cancer Centre than was originally thought possible. The decision was therefore taken to expand the Rosemere 20th Anniversary Appeal to raise an additional £842,000 and it is hoped that work will begin on this exciting project in spring 2019 to provide a state of the art cancer ward for the people of Lancashire and South Cumbria. A Rosemere fundraising appeal to raised £112,000 towards the cost of a new Chemotherapy Unit at Burnley General Hospital. Rosemere funding was used to provide a sensory therapy room, a more comfortable and pleasant waiting area and decorative screens in the main treatment room to provide greater privacy. 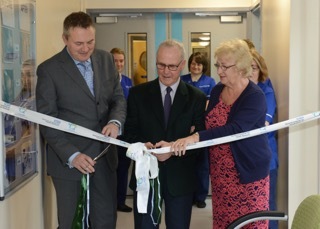 The opening of the NIHR Lancashire Clinical Research Facility at Royal Preston Hospital. The facility is a collaboration between Lancashire Teaching Hospitals NHS Foundation Trust, Lancashire Care NHS Foundation Trust and Lancaster University and plays an important role in discovering new treatments and improving care for the future. Rosemere invested funds raised by the 20th Anniversary Appeal to provide on- site pathology and pharmacy facilities and initial funding for a dedicated clinical trials co-ordinator to help expand cancer clinical trials and make them more accessible across the region. 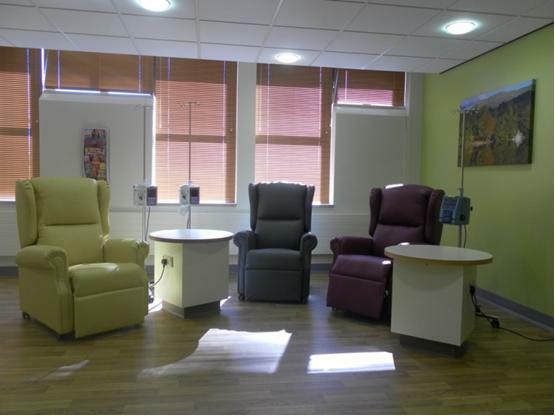 Provision of chemotherapy facilities at Chorley Hospital with the opening of a new Chemotherapy Unit on the Winstanley Ward. 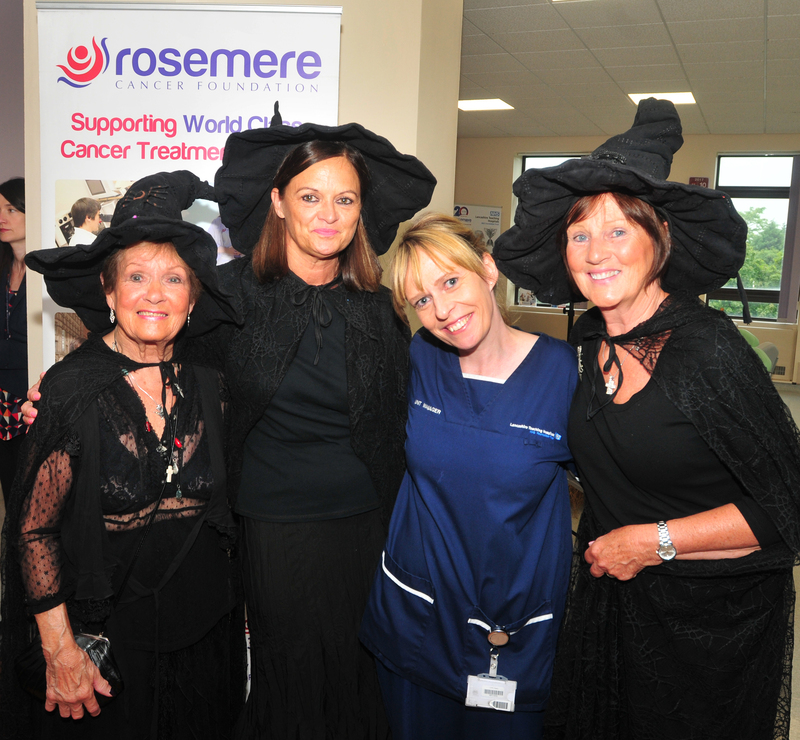 Funded with the help of a donation of £31,000 from Rosemere fundraising group, the Witches of Adlington. The Da Vinci Xi, the most advanced robotic surgical equipment in the world, arrives at the regional Cancer Centre at Lancashire Teaching Hospitals. 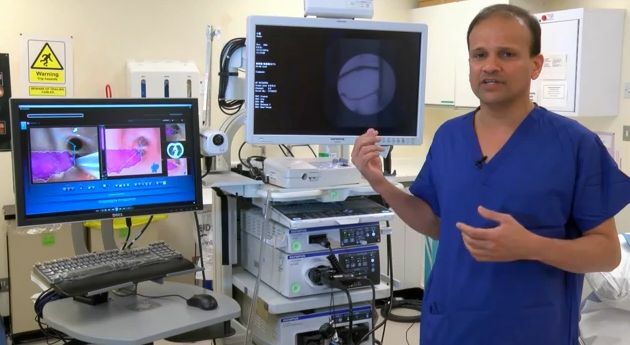 The first of its generation to be installed in the North of England, this innovative kit was funded by the Rosemere 20th Anniversary Appeal and has since been used to treat patients with urological, gynaecological, colo-rectal and upper gastrointestinal cancers less invasively, with less pain, less risk of infection and faster recovery times. It has also allowed the performance of procedures never before undertaken in the UK. Rosemere Cancer Foundation provides 2 years’ start-up funding to help establish a service to assist patients to return to work after cancer treatment. The service, run by Lancashire County Council, is available to patients and their employers to help overcome the physical, emotional, legal and financial barriers that can prevent people returning to the workplace. 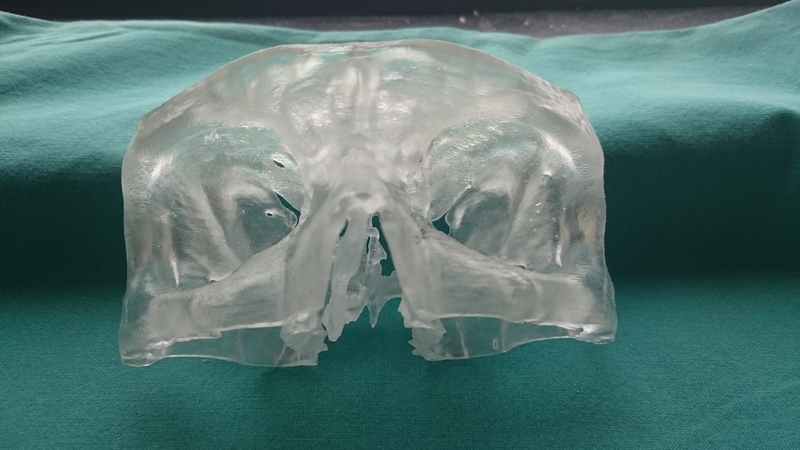 Introduction of an innovative 3D printer for the more accurate creation of prostheses for head and neck cancer patients in East Lancashire to provide a more acceptable and comfortable patient experience. A second printer has since been purchased for the Rosemere Cancer Centre. Installation of the latest generation of Endobronchial Ultrasound equipment (EBUS) at the Rosemere Cancer Centre. This is the first equipment of its kind anywhere in the world and will help with the early diagnosis and treatment of lung cancer. 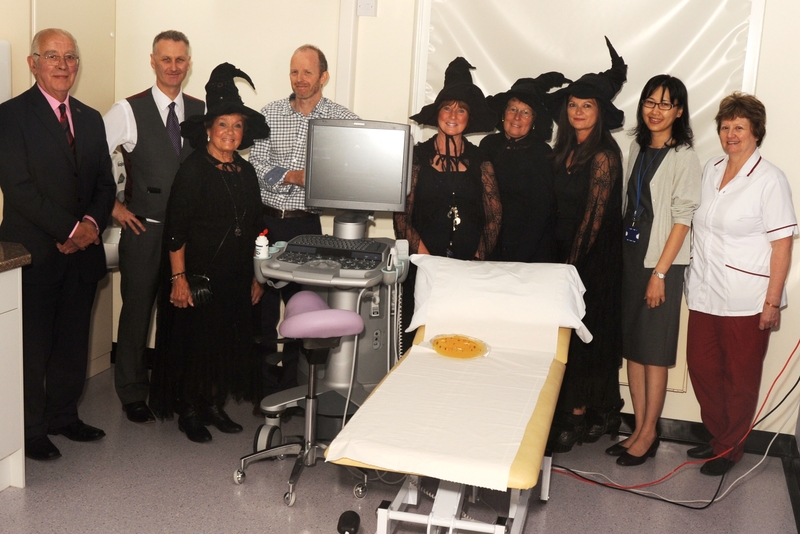 Introduction of liver function testing equipment at the specialist liver cancer unit at Blackburn Royal Infirmary. Available nowhere else in the UK outside London, this equipment will help make life saving surgery a possibility for patients for whom it was previously considered too great a risk. 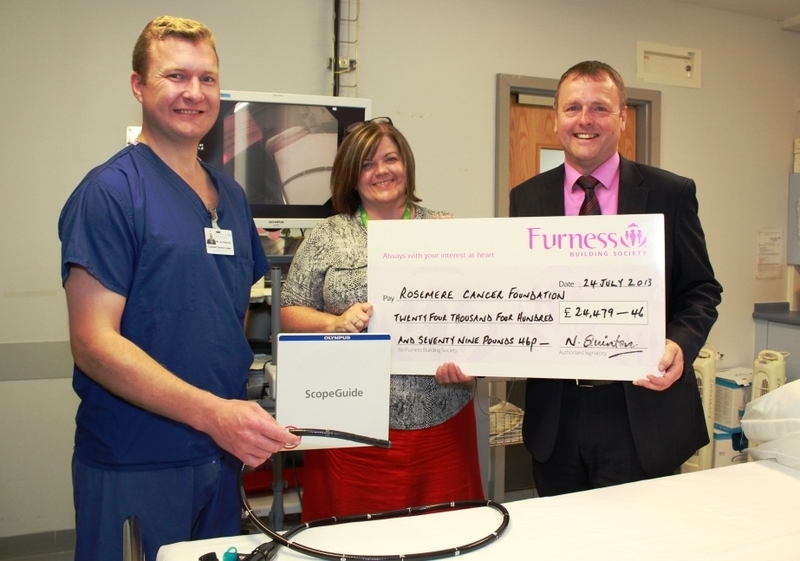 Purchase of Ultrasound Machines for the insertion of PICC lines at Kendal, Lancaster, Blackburn and Burnley, saving patients the journey to the Rosemere Cancer Centre at Preston if their line could not be inserted locally by touch. Building of a dedicated Cancer Information Centre at Royal Preston Hospital where patients and their families can access information on all aspects of living with cancer and be guided by Macmillan funded support staff. Provision of Scope Guides for the Bowel Cancer Screening Service in Preston, Blackburn, Lancaster and Barrow to make the procedure more comfortable for those known to be at particular risk. It is hoped that this will also reduce the number of people who do not return for further screenings and thereby save lives. This equipment was purchased with funds donated by the Furness Building Society. Purchase of an additional ultrasound machine to facilitate the introduction of a same day diagnosis service in the new Breast Care Unit at Chorley. This initiative was made possible by a donation from the Witches of Adlington fundraising group. 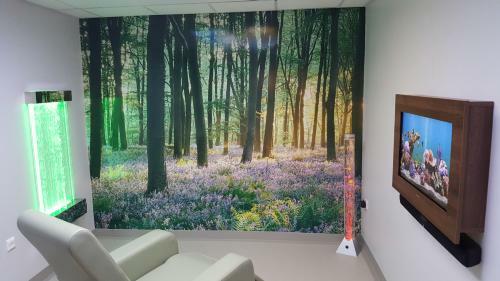 Refurbishment of wards at Westmorland General Hospital to accommodate a new local chemotherapy service in a bright, uplifting and comfortable environment. This project brought cancer treatment closer to home for patients throughout the Central Lakeland area who had previously had to travel long distances to Barrow or Lancaster. 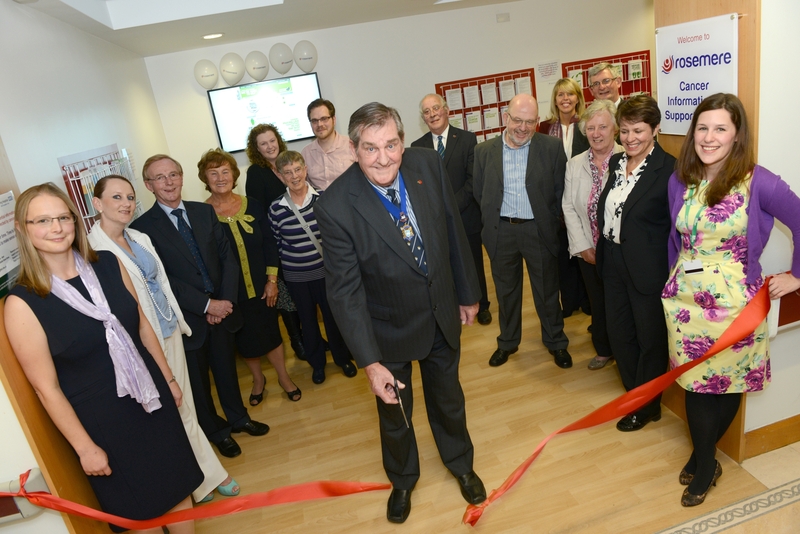 Opening of Duncan House following the refurbishment of premises adjacent to Blackpool Victoria Hospital to provide accommodation for the families of leukaemia patients spending long periods as an in-patient in the region's specialist haematology unit. Introduction of Image Guided Radiotherapy facilities at the Rosemere Cancer Centre to allow greater accuracy of treatment, particularly for prostate, gynaecology and head and neck cancers. This equipment was purchased as a result of Rosemere's Ray of Hope Appeal and IGRT has since become standard on all new radiotherapy machines. Support for research at Lancaster University in conjunction with urology and gynaecology staff at Royal Preston Hospital to investigate the use of spectroscopy (a high density light source) as a tool for better diagnosis and treatment of prostate and gynaecological cancers. This work has been ongoing since 2005, resulting to date in 110 original papers and 75 conference abstracts which have informed specialists in the oncology arena across the UK and beyond, making the team world leaders in this area of research. Installation of a Coffee Shop in the Radiotherapy Department at the Rosemere Cancer Centre. This facility provides free drinks to all patients and sells a range of snacks to patients, carers, staff and volunteers. It is run entirely by volunteers and is very much valued by patients, particularly those travelling a long way for treatment. It routinely comes top in patient satisfaction surveys and returns approximately £8,000 in profit to the Foundation each year.